At Woodstone Company, quality and service is not just a commitment, it's what we do. Most Woodstone supervisors have, on average, twenty years of experience; not just in our industry, but with the Woodstone family. Woodstone window and door elements are not discontinued and our product warranties are solid - the longest in the industry - making our unique product more cost effective than ever before. 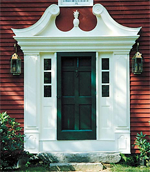 Welcome to Woodstone, established U.S. manufacturer of handcrafted wood windows and doors since 1978, specializing in historic landmark replication projects. 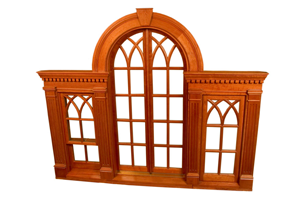 Here we demonstrate a unique digital design modeling and manufacturing program created to service the historic wood window and door markets. Our digital "expert user" modeling system was initiated in 1981 and is continually being refined and expanded to provide clients a consistent platform on which to specify high performance products matching virtually any architectural fenestration program ever specified.